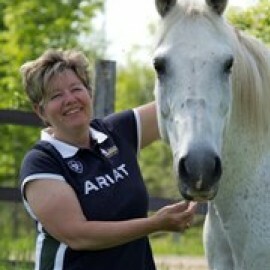 Lorie is an ASP Partner located in Appin, Ontario. She is married to the love of her life and has a fabulous 26 year old son. Lories loves being a bookkeeper. Lorie feels, “very fortunate in that I really enjoy my work and the wonderful people I work with / for”. Outside of work, horses are her passion. Lorie thought there had to be a better way, so she started to investigate direct deposit for payroll. She contacted her bank and found out that there were huge compatibility and equipment issues, substantial set-up fees and extra time for training. “It sounded like it would be quite the task and more headaches,” said Lorie. Recommended through QuickBooks, she found Telpay integrates fully with QuickBooks to eliminate double keying. Lorie started running payroll with Telpay. With the remote authorization feature, she no longer had to chase signatures and employees were now being paid in a timely fashion. For payables, Lorie had some apprehension, she was not sure why, but likes Telpay even more. Less cheques and more time to play, now that is a story, so many other bookkeepers can relate to.